1. truly what something is said to be; authentic. Very rarely do we find an actor that possesses all the correct elements to be called genuine. In today’s Hollywood, there seems to be this thin veneer of charm actors wear when proceeding to give interviews and greet fans at premieres, yet when seen behind closed doors, the entire room becomes dour as the true nature of the actor is revealed; shallow, uncaring, and narcissistic are the trio of adjectives that we hear the most. However, the late Paul Walker was the antithesis of his colleagues. As you can see here in an impromptu interview, Walker exudes honest charm and a bit of the boy-next-door attitude, all of which made him very enjoyable to watch on screen. Written by J.J Abrams (yes this was a Nerdonomy Facebook question), the film follows Steve Zahn and Paul Walker as a deranged trucker in the mid-west terrorizes them. This under-the-radar film is taut and suspenseful, and echoes the likes of Hitchcock. Walker’s performance is massively enjoyable and for those that find him easy on the eyes get to see his rear-end. This was my first introduction to Walker, and it’s a film that should not be missed. Playing one of the film’s antagonists, Dean Sampson, Walker gives a light and fluffy performance that is sure to make you crack a smile. When Freddie Prince Jr. craps out on asking Ms. Leigh Cook to prom, Walker swoops in with hopes of taking her innocence away. He gets his just desserts in the end, but his prick-like attitude and surfer boy hair exudes the appeal that is Paul Walker. The franchise that made him a household name, The Fast and Furious movies gave Walker the ability to become this generation’s Keanu Reeves a la Point Break. Yet this film gave Walker one up on Reeves: a chance to grow and flourish not just as the character, but as an actor as well. Walker’s performance as Brian O’Conner, should have been one note, yet Walker gave him depth and a reason for us to watch. When watching these films, we weren’t just watching to see Vin Diesel in a shirt that is far too small, we watched to see Walker’s interaction with Diesel and the rest of the cast. In this writer’s humble opinion, Walker embodied the message of the films: family. Without him, there is no franchise. Note: As for the fate of the franchise, that is still to be determined. As of the time of publication the filming of the 7th installment is postponed indefinitely. As what will happen, only time will tell. Personally, I would love to see them send Brian O’Conner off in a befitting way, but in reality that might too much to handle. Walker’s intoxicating grin fit into the 50’s era like a square peg in a square hole. His portrayal of Skip Martin, the captain of basketball team and heartthrob of Pleasantville was pitch perfect. The naive smiles and clueless understanding of the way the real world works outside the pie-cooling, white picket fence town. I know I am likely in the minority when I say that I love this movie, but I don’t care! This film is ridiculous, preposterous, over the top, and it’s juicy delight. Walker is pleasure to watch as the central figure in a murder investigation. Did he kill the young reporter? Did he not? Who cares?! 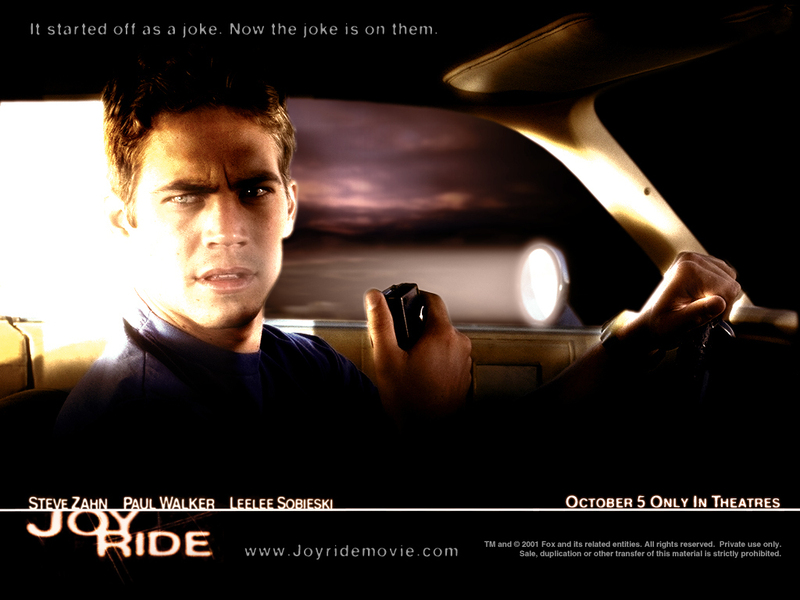 It’s an enjoyable film that shows Walker’s range and boyish attractiveness. You just can’t get enough of him! If you’ve not seen this film, I recommend that you pop it in and enjoy. Paul Walker will make you smile and wonder where he would have gone. There is my list. 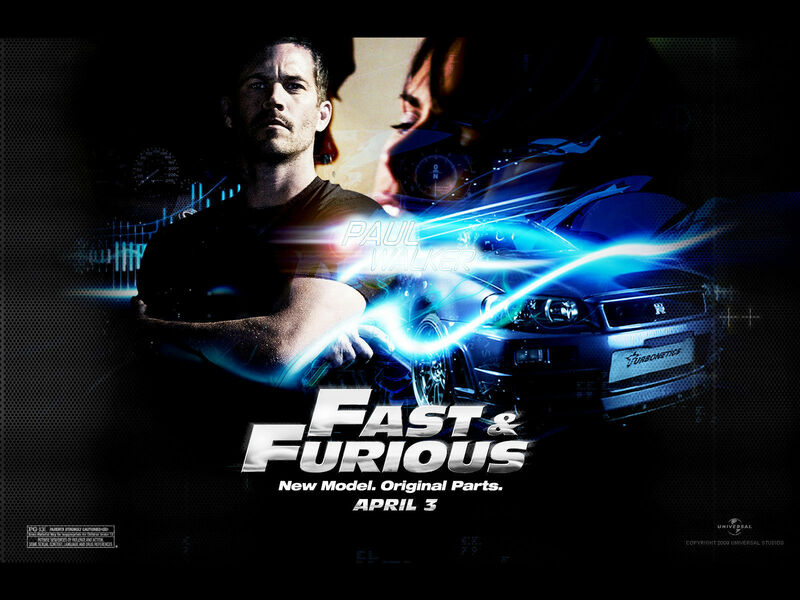 I likely have some glaring omissions, so I ask you, what is your favorite Paul Walker film? Watch his collection and enjoy the young actor was taken from us far too soon. Mel Brooksuary concludes with a visit from an old friend and a conversation about History of the World Part I. Do You Like Everything? Neither Do We. Nerds on Film celebrates its one year anniversary with a wrap-up discussion about our most favorite and not so favorite movies of Summer 2013. We celebrate Nerdsgiving by discussing the portrayal of Native Americans on film. Also, Nerds on History’s own Eric Bricmont guest hosts alongside a man who has been away from the mic too long… Mr. David C. McGuire. Next post Let’s Riddle Them with Darkness!